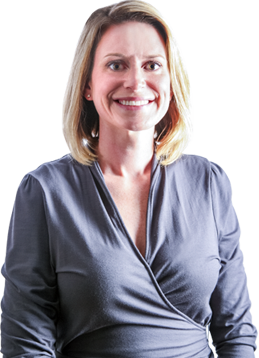 Dr. Elizabeth Renaker-Jansen is a plastic surgeon with Lincoln Surgical Associates. Meet Dr. Elizabeth Renaker-Jansen, plastic surgeon. I started in medicine because my grandfather was a general surgeon who I really admire, and he was kind of like "my person" growing up who I would always be with, so he really inspired me to go into surgery in general. And then, once I went to medical school, I was drawn more towards plastic surgery. Why did you choose to practice plastic surgery? I was more interested in plastic surgery because of breast reconstruction. I like helping those patients through their reconstruction and giving them something back. What is your primary goal with your patients? My goal is for them to be happy and comfortable with their end result. Whether it's breast reconstruction or a skin cancer removal, you want them to look and feel better about themselves again. I think the most rewarding part is the end process where somebody's happy, and they feel better about themselves. They've gotten over their disease and are moving on to better things in their lives. Outside the office, I have a two-year-old so most of my time is spent playing and hanging out with my two-year-old and my husband. We love being outside, camping, and going for bike rides. Dr. Renaker-Jansen is from Northern Kentucky, outside of Cincinnati. She joined Lincoln Surgical Associates after completing her plastic and reconstructive surgery residency at Beaumont Health in Farmington Hills, Michigan. Dr. Renaker-Jansen is on staff at Memorial Hospital Belleville, Memorial Hospital East in Shiloh, and St. Elizabeth's Hospital. Learn more or schedule a consultation with Dr. Renaker-Jansen today!